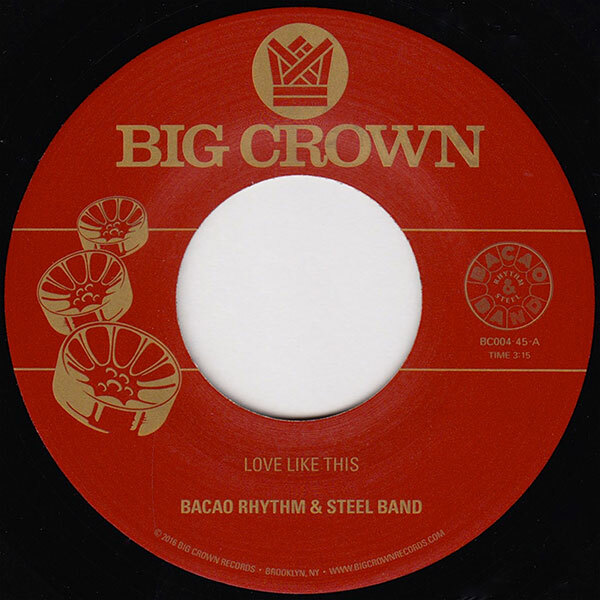 With their highly anticipated debut full length “55” hitting in early May, Bacao Rhythm & Steel Band hits us with another killer two sider 7” sure to be in every DJ’s box. The A side is an incredibly catchy cover of Faith Evan’s smash hit “Love Like This”. Instantly recognizable from the first note they work their way through the tune in proper BRSB fashion. Advance “Test Press” copies were sent to tastemaker DJs across the globe, the results have all been the same. This one is a dance floor killer and has crowds captivated and curious. The B side is a gritty punchy interpretation of the classic Cat Stevens tune “Dog Was A Doughnut”. BRSB really pushing the genre envelope with this one, using steel pans on an otherwise dark electro backdrop sprinkled with killer open drum breaks.